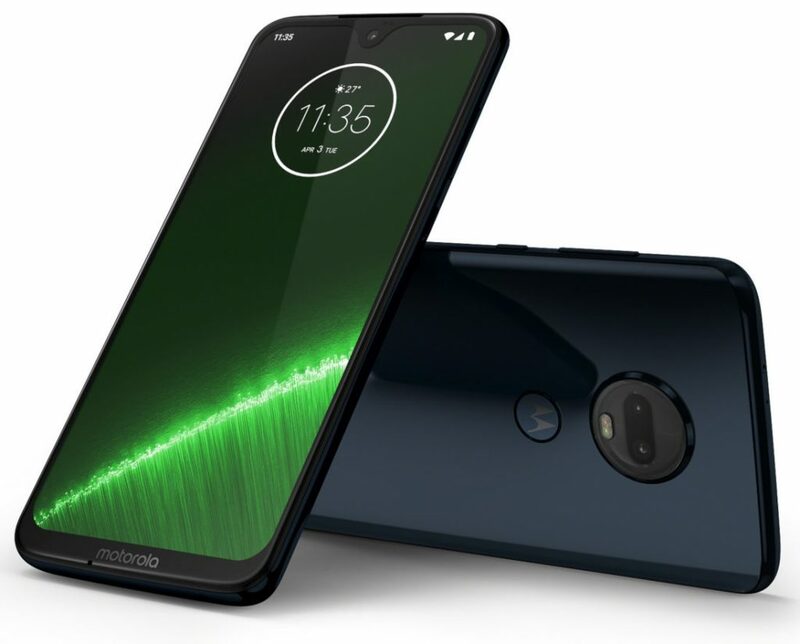 Motorola has finally announced its Moto G7 series at an event in Brazil. 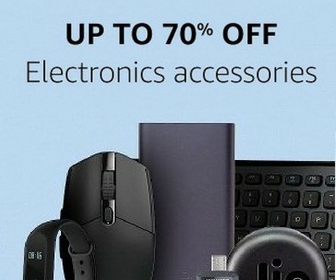 The company has announced four smartphones including Moto G7 Plus, Moto G7, Moto G7 Power, and Moto G7 Play. All these phones are the same what we saw in the leaked photos. Moto G7 Plus features a 6.2-inch Full HD+ display with Corning Gorilla Glass 3 protection. It has waterdrop notch above the display. The phone runs on latest Android Pie. It is powered by 1.8GHz Octa-Core Snapdragon 636 14nm processor with Adreno 509 GPU. It has 4GB RAM and 64GB storage with an option to expand storage up to 512GB. Moto G7 Plus features a dual camera with 16 megapixels primary (f/1.75 aperture) camera and 5 megapixels secondary (f/2.2 aperture) camera. It also features OIS for stabilized videos. It also has 12 megapixels front camera with f/2.0 aperture. The phone features a fingerprint sensor located on the back. It also has Dolby Audio tuned stereo speakers for good audio performance. The phone also features Water-repellent P2i coating. It comes with Dual 4G VoLTE, WiFi 802.11 ac (2.4GHz / 5GHz), Bluetooth 5, GPS, and USB Type-C connectivity options. Moto G7 Plus also features 3000 mAh battery with 27W Turbo charging. 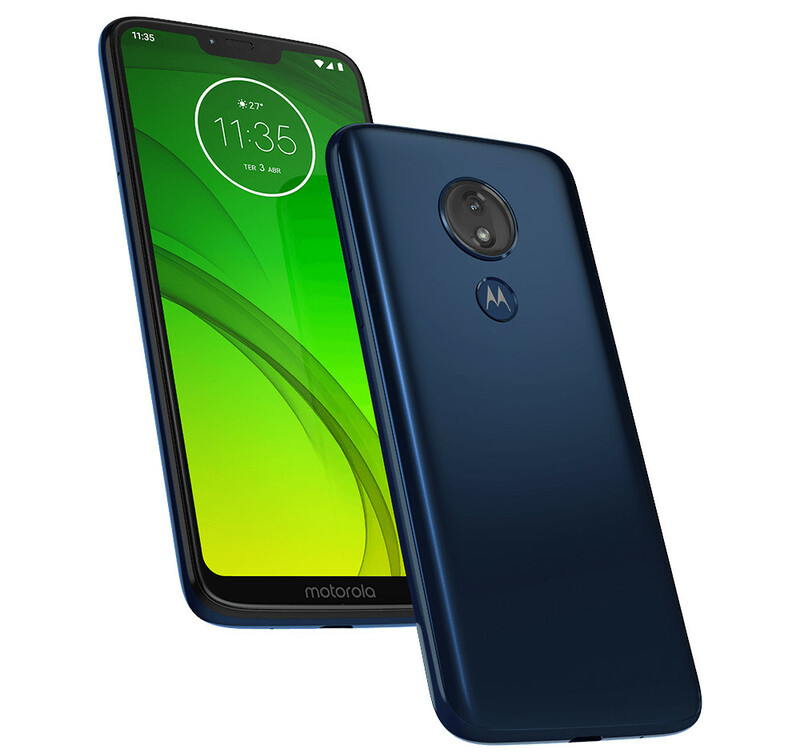 Moto G7 comes with a 6.24-inch Full HD+ display with Corning Gorilla Glass 3 protection and waterdrop notch. It packs 1.8GHz Octa-Core Snapdragon 632 14nm processor with Adreno 506 GPU. It packs 4GB RAM and 64GB storage with an option to expand storage up to 512GB. It has dual camera with 12 megapixels f/1.8 primary camera and 5 megapixels secondary f/2.2 camera. It also has 8 megapixels front camera with f/2.2 aperture. The phone has fingerprint sensor on the back. It also has Dolby audio and Water-repellent P2i coating. 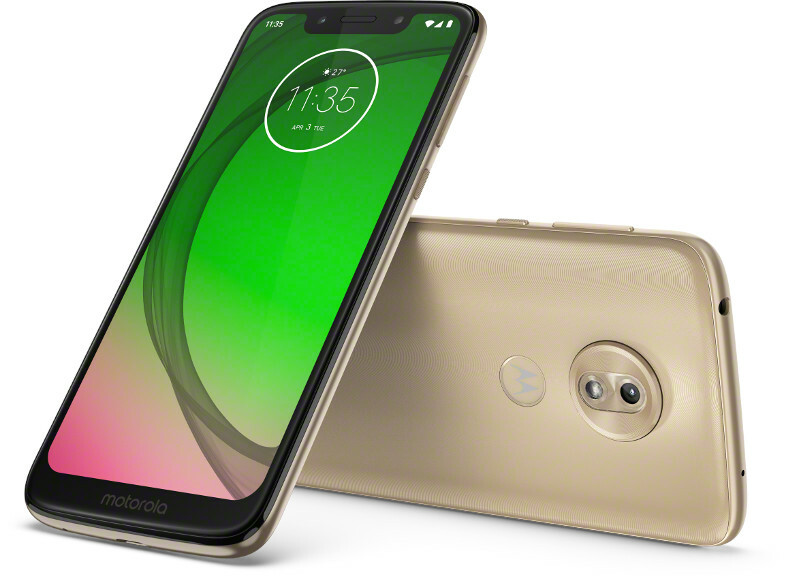 Like Moto G7 Plus, it also has Dual 4G VoLTE, WiFi 802.11 a/b/g/n (2.4GHz / 5GHz), Bluetooth 4.2, GPS, and USB Type-C connectivity. The phone packs 3000mAh battery with 15W Turbo charging. 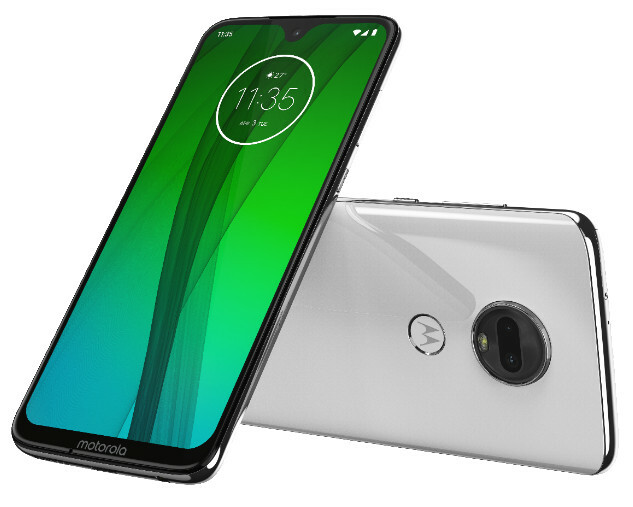 Moto G7 Power has 6.2-inch HD+ Display with Corning Gorilla Glass 3 protection. This phone has wide notch and runs on Android 9.0 (Pie). It packs 1.8GHz Octa-Core Snapdragon 632 14nm processor with Adreno 506 GPU. It has 3GB RAM and 32GB storage with expandable storage up to 512GB. The phone has12 megapixels rear camera with f/2.0 aperture and 8 megapixels front camera with f/2.2 aperture. It has fingerprint sensor on the back. The phone also features Water-repellent P2i coating. It has Dual 4G VoLTE, Wi-Fi 802.11 a/b/g/n (2.4GHz / 5GHz), Bluetooth 4.2 LE, GPS + GLONASS, and USB Type-C. It packs 5000 mAh battery with 15W Turbo charging. Moto G7 Play is bit smaller. It has 5.7-inch (1512×720 pixels) HD+ 2.5D curved glass display with Corning Gorilla Glass 3 protection. It also has wide notch and runs on Android 9.0 (Pie). It packs 1.8GHz Octa-Core Snapdragon 632 procesosr with Adreno 506 GPU. It has 2 GB RAM and 32GB storage. Storage is expandable up to 128GB. It has 13 megapixels rear camera with f/2.0 aperture and LED flash. It also has 8 megapixels front camera with f/2.2 aperture with front LED flash. It comes with Dual 4G VoLTE, Wi-Fi 802.11 a/b/g/n (2.4GHz / 5GHz), Bluetooth 4.2, GPS + GLONASS, and USB Type-C. It packs 3000 mAh battery with 10W rapid charging.